The effectiveness of social media in passing information cannot be underestimated as it is both educative and engaging. It is on this platform that the inaugural edition of #AgTwitterCup2018 launched in October 2018 was based. The competition was organized by IITA researcher, James Legg, with social media consultants John Agboola and Olumide Idowu, who were hired to handle social media and awareness raising among young people during the CGIAR BigData annual convention in Nairobi, Kenya. The team of three came up with an idea of promoting communication activities done through Twitter around the topic of Agricultural Transformation in Africa, intending it to be fun for participants as well as serve the important purpose of strengthening groups and individuals’ Twitter engagement. With five different entry categorizes (Individual, Group, African Institution, International Organization, and Young Woman), the competition was launched on 25 December with about 1,000 nominations. A set of seven judges (including the three conveners, one from Africa, and three from institutions outside of Africa) reviewed all nominations with focus on Number and density of tweets in 2018, Quality of tweets, Profile, and interaction before the selection process was concluded on 4 January 2019. The best 8 nominations in each category were selected. At the final round, emerging as winners in each category were Aina Tolulope (@Ainatolupe1) for Individual, Farm Republic (@FarmRepublic) for group, National Agricultural Research Organization (@narouganda) for African Institution, IITA (@IITA_CGIAR) for International Organization, and Aina Tolulope (@Ainatolupe1) for Young Woman. IITA and the National Agricultural Research Organization (NARO) of Uganda are both large and successful institutions with a long history of developing and promoting agricultural research products. Increasingly they have both recognized the importance of seeking to modernize African agriculture, and each has been active in communicating on this topic through Twitter. 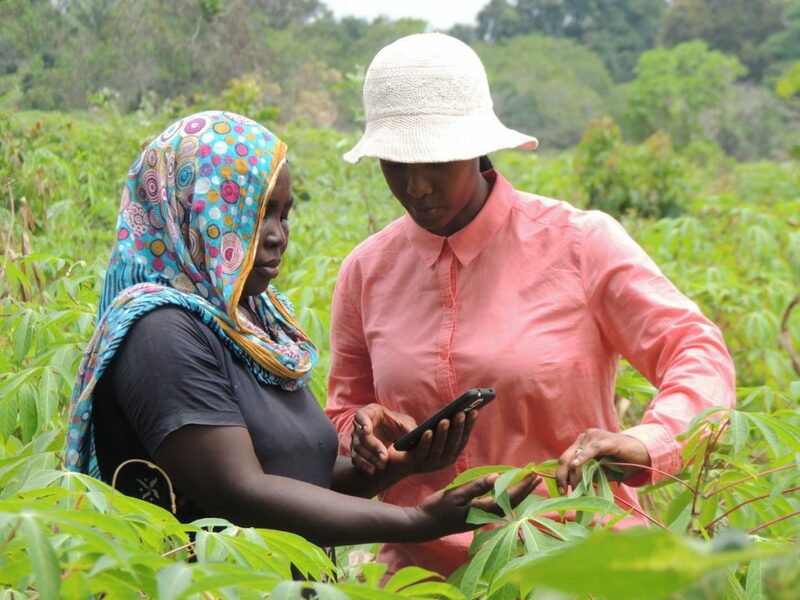 Young women using social media to promote agriculture. 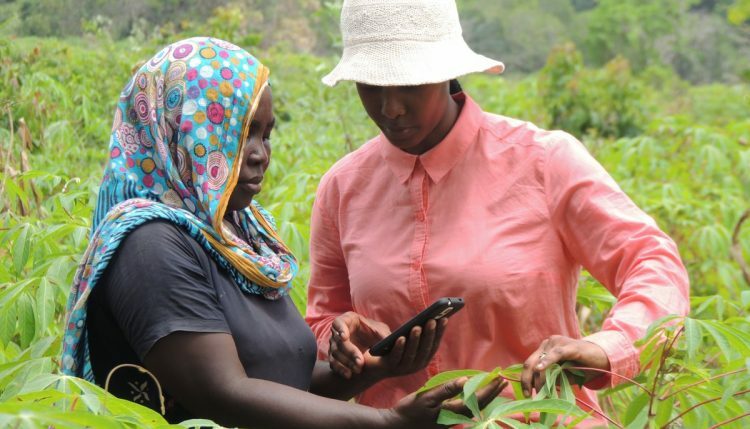 Aina Tolulope and Farm Republic represent the cream of the growing movement of individuals or groups that are using ICT tools to strengthen agricultural development as well as communicate the importance of promoting agriculture as a modern business. ICT tools have been instrumental in increasing the engagement of the youth on this topic, and it is notable that young women are playing a very strong role in this communication activity. An excellent example is Ms Aina Tolulope, winner of both the individual and young woman categories. She is the young founder and CEO of Tolulope Foods and Farms, producing high quality processed cassava products and frequently seen on Twitter providing agribusiness advice to other young farmers in her home country of Nigeria. Farm Republic, also based in Nigeria, is an agribusiness consultancy company which provides advice to growers on crops to grow, farm management and marketing of farm produce. They also do contract farm management. In a very short period of time on Twitter, they have developed a strong presence and have a committed following who dramatically succeeded in pushing them to the top of the most competitive of all of the #AgTwitterCup2018 categories. The most notable achievement of #AgTwitterCup2018 was to raise the profiles of new, young individuals or groups who are actively looking for ways to change the way that agriculture is done in Africa. Since transforming African agriculture is increasingly seen as a flagship development goal for the continent, then promoting and rewarding those trying to achieve this is a priority. With this in mind, the conveners are already planning for the second edition for the year 2019.